If you know what you`re doing, house flipping can be a prosperous undertaking. FHA lending has become very popular in the last few years, insuring loans to credit-worthy borrowers who can`t make a large down payment. 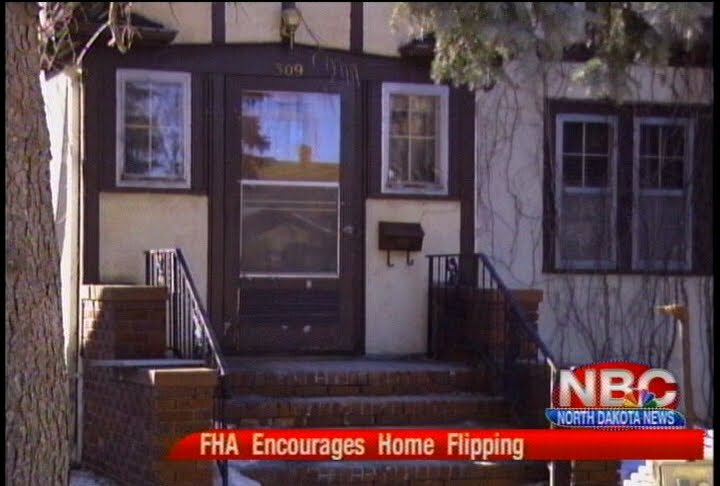 In the past, the Federal Housing Administration has discouraged house flipping but in recent years, the agency has changed a rule that now encourages it, and a flipper can now make a much quicker buck. Greg Mayer has been flipping houses for 15 years but he refers to himself as more of a renovator, taking his time restoring a home to as close to its original character as possible. "I don`t like buildings being torn down. I like to see what could be salvaged out of them, what can be redone with them," says Greg. Greg has a pretty large undertaking with his new endeavor, a 1930s Mandan home. He`s not only restoring, but adding about 900 extra square feet, fit for a small family looking for their first home. "The carpet will get pulled up. There`s hard wood flooring that will be redone," says Greg. Greg says depending on the house, you could make a nice profit flipping but that`s not really why he does it. He simply enjoys doing the work. For those who are looking to make some quick cash, the Federal Housing Administration is making it easier. It extended a rule this year that allows an investor to buy and sell a home to a buyer using FHA financing right away, instead of having to wait 90 days, like in the past. The idea is to get rid of some extra inventory left behind from the recession. "People got foreclosed on or people had to leave them and maybe they didn`t leave them in the best conditions. It gives investors the ability to go in and turn that house if the house just needs a little cleanup," says Joe Sheehan, a loan officer with Cornerstone Bank. The extension also came with some clarifications. To turn a house right a way, an investor can only make up to a 20% profit. Or they can wait 90 days and make a larger profit. Greg hopes to have his latest project finished by May or June for interested families in search of possibly their first home. Clarifications in the extension also mean a seller can get a second appraisal to try and get more value for the home. FHA lending has become the norm in North Dakota, and makes up 30% of all loans nationally.